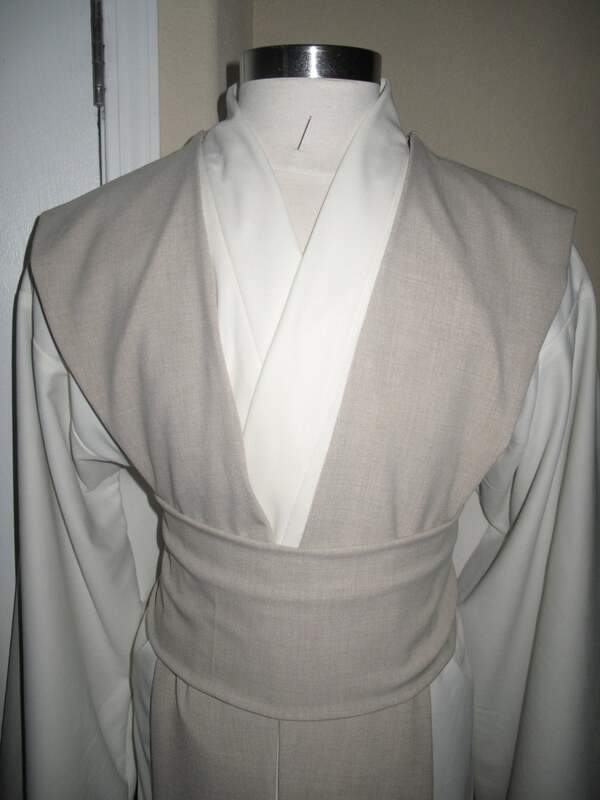 The tabards and sash are lined with the same fabric making them reversible. 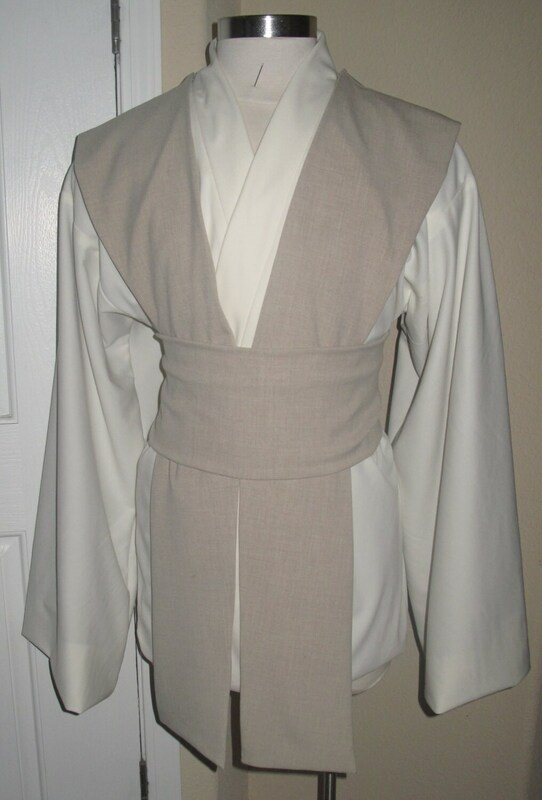 The sash/obi has Velcro for closure in the center back. I also do custom orders to accommodate your height and sleeve length, please don't hesitate to ask and add this info to your invoice or email. 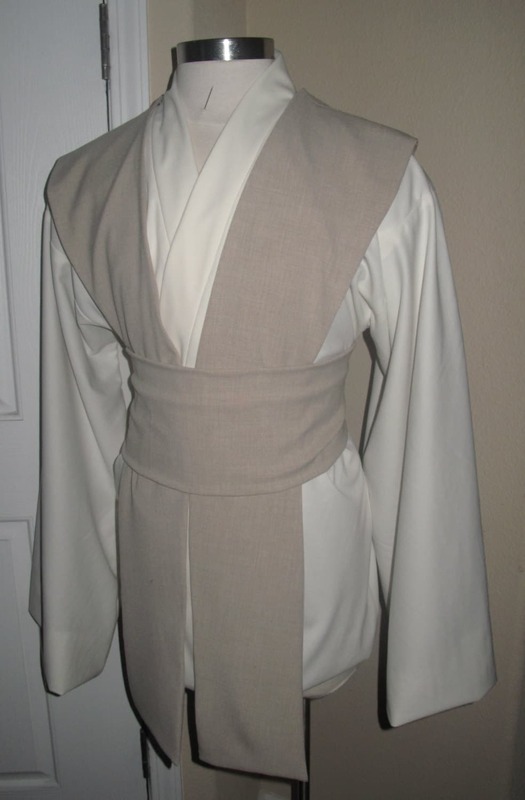 Rebel Legion Standards: sleeve must come to the knuckles, tunic length must come down to about 1/2 your thigh, tabards must be about 3 inches longer than the tunic.